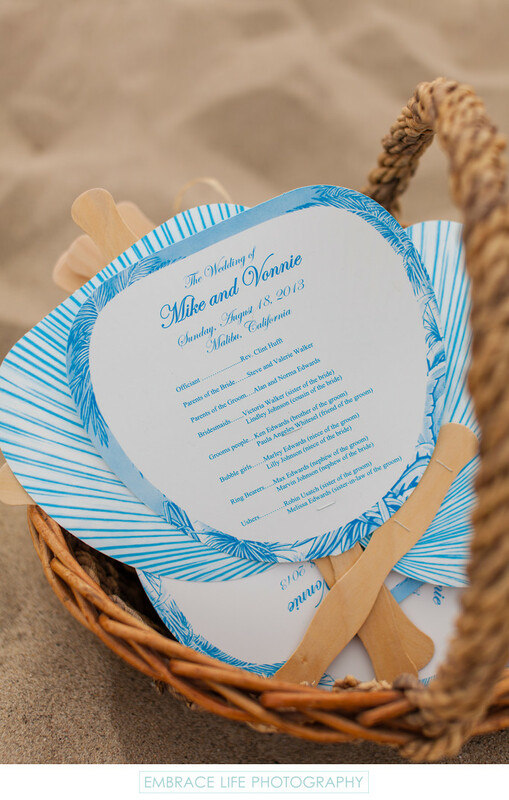 What better than a ceremony program that doubles as a fan for a Malibu beach wedding? The beautifully designed, blue fans were placed in a natural, woven basket, perfectly suited for the Malibu wedding venue, The Sunset Restaurant, and this ocean view wedding ceremony on the sandy California beach. Location: 6800 Westward Beach Road, Malibu, CA 90265. Keywords: Ceremony (333), Details (1125), Stationery (78), Wedding (1437).